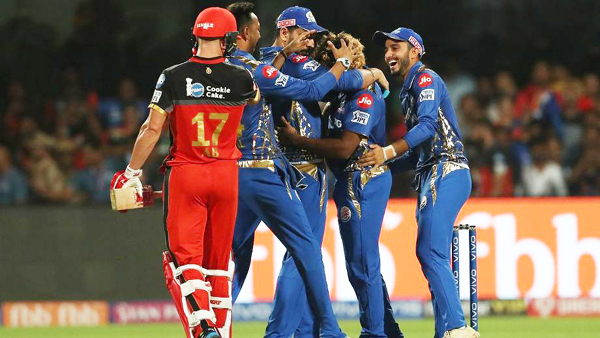 Mumbai Indians players celebrating dismissal of RCB’s AB de Villiers in IPL 2019 at Hyderabad. 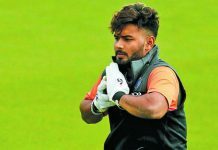 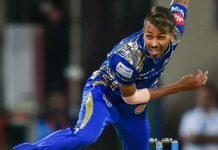 Hyderabad, Apr 15: Hardik Pandya produced a sensational late cameo of 37 not out off just 16 balls as he guided Mumbai Indians to a five-wicket win over Royal Challengers Bangalore in an IPL match here on Monday. 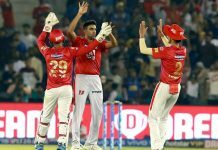 The Engli-shman removed the two set openers Rohit and de Kock in the space of four deliveries in the eighth over. 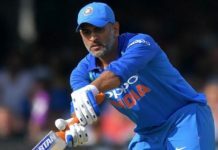 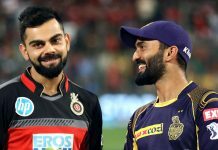 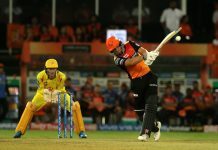 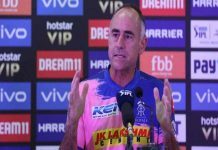 Rohit was done in a by a delivery which turned viciously from the offside while de Kock was plumbed in front as he was beaten by a delivery which skidded instead of turning and Mumbai were 71 for 2 in 7.4 overs. 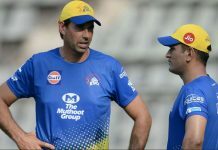 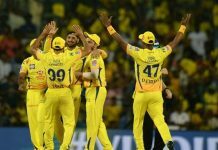 Bowling: Jason Behrendorff 4-0-49-1, Lasith Malinga 4-0-31-4, Jasprit Bumrah 4-1-22-0, Hardik Pandya 3-0-21-1, Rahul Chahar 4-0-31-0, Krunal Pandya 1-0-10-0. 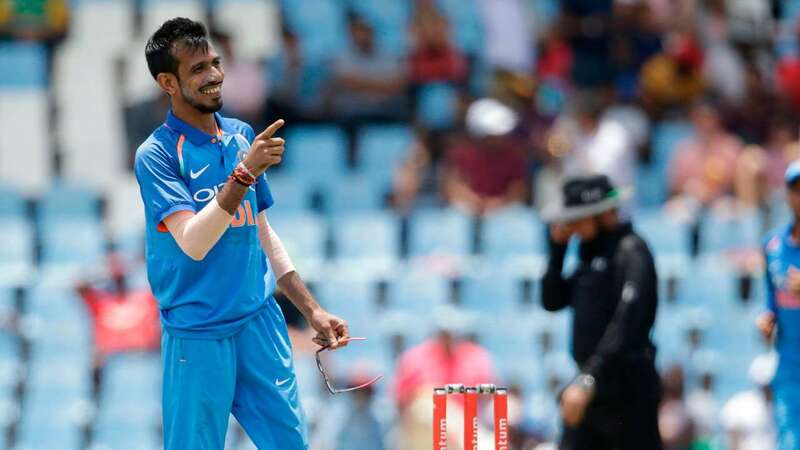 Bowling: Umesh Yadav 2-0-25-0, Navdeep Saini 3-0-34-0, Mohammed Siraj 2-0-21-1, Yuzvendra Chahal 4-0-27-2, Pawan Negi 4-0-47-0, Moeen Ali 4-0-18-2.